In what cases use the temporary prostheses. 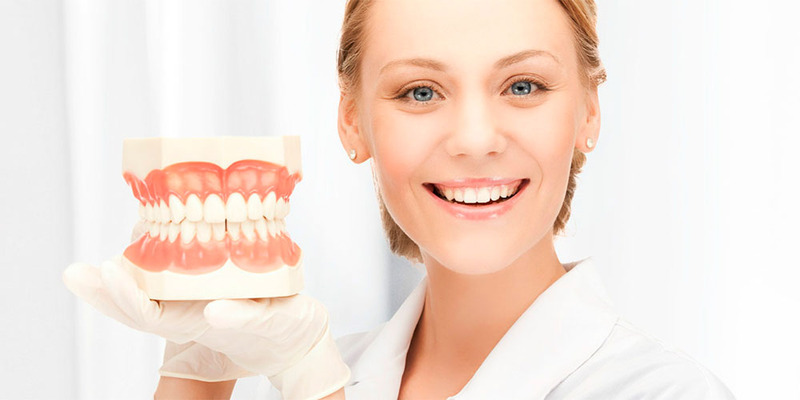 For a period of time when made prosthetic front teeth, which is necessary for a specialist to make a permanent structure, a temporary denture comes for the help. It helps to restore an aesthetic smile when there is no front teeth, which is very important from a psychological point of view. It restores the chewing function while protecting the tooth from the ingestion of saliva and food residues. And one more important detail: provides the patient’s getting used to wearing a permanent prosthesis in the future. Removable. In everyday life they call «butterflies», and «medically» — immediate-prosthesis. Typically, this is one or two artificial teeth, which are made of special hypoallergenic plastic. They are equipped on each side with nylon «petals» to be attached to healthy teeth adjacent to the prosthesis. Modern materials used in dentistry, make fastenings indistinguishable from soft tissues of the oral cavity, and the tooth from the natural. Non-removable. They include the construction of bridges and crowns. They are strung on the turned teeth for the period of making permanent prostheses or for dental implants for the time of their engraftment. After implantation, there are often contraindications to the fast loading of implants with permanent crowns, as he needs a time interval for habituation and engraftment. 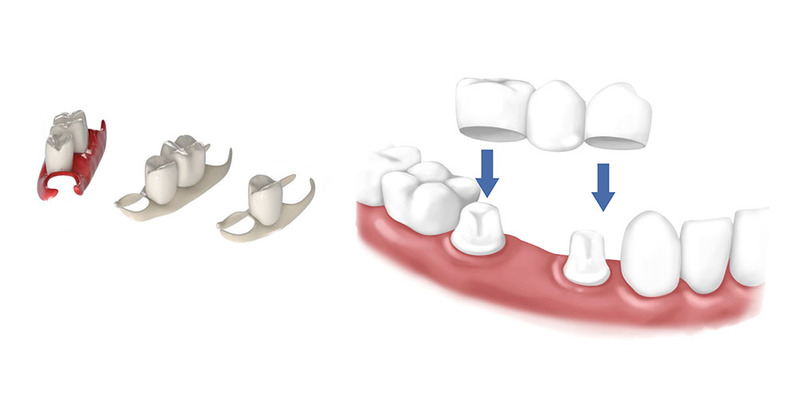 A heavy permanent ceramic or metal-ceramic crown does not contribute to the normal development of this process. In such situations, the temporary plastic crowns, which are lighter than permanent ones, are best suited for wearing during the implant implantation period.